Stratford-upon-Avon is a picturesque locale for your perfect wedding day. Offering both history and modern amenities, it will provide a memorable experience for both you and your guests. Located 35 km (22 miles) from Birmingham, Stratford-upon-Avon is a market town in Warwickshire, England. It is best known as the birthplace of William Shakespeare. Stratford-upon-Avon developed as a market town during the Middle Ages with the original charter for the town being granted in 1196. In 1769 David Garrick hosted a three day Shakespeare Jubilee. This well-attended event led to this town becoming a tourist attraction. There are many wedding venues to choose from both in and around Stratford-upon-Avon. Three you might want to consider are The Stratford Hotel, Macdonald Alveston Manor, and Stratford Manor. The Stratford Hotel is a four star hotel in the heart of Stratford-upon-Avon. Ideal for smaller weddings, the site hosts only one wedding per day, offers discounted room rates for guests, and provides a dedicated event planner to help you create the wedding of your dreams. The Macdonald Alveston Manor is a Tudor mansion located on the south side of the River Avon. On the property is the famous Cedar Tree, rumored to be the location of the first performance of Shakespeare’s Midsummer Night’s Dream. It also offers spa facilities including a swimming pool, sauna, and steam room. This venue also hosts only one wedding per day. Stratford Manor is a perfect location for a larger wedding. It includes 104 bedrooms and can host up to 300 people at an event. It is located in Warwickshire, just outside the town of Stratford-upon-Avon. It offers a health club and spa. The area offers much to do and enjoy. Fans of Shakespeare will want to visit his birthplace and the Royal Shakespeare Theatre. Your guests can enjoy some shopping at the Maybird Shopping Park and Maybrook Industrial Estate. Both offer a wide range of stores. Other attractions include the the Stratford Butterfly Farm and the Stratford Armouries. There are also several churches of various denominations. Wedding guests arriving by car can use junction 15 off of the M40 motorway. Train access is available from both Birmingham and London. Birmingham airport is conveniently located 29 km (18 mi) away from Stratford-upon-Avon. If you’ve ever dreamed of a lavish, fairytale wedding in a spectacular location, Warwick Castle is just what you’re looking for. The historic castle in Warwickshire, UK is 1,100 years old, and has been the scene for hundreds of weddings and special events through the ages. The wedding ceremony and wedding breakfast or reception at the castle will make you feel as though you’ve been transported back to the 14th century. Celebrate your nuptials at the castle in a memorable way with a medieval themed wedding ceremony and reception. The staff at the castle will help you plan an authentic menu that could even include a roasted pig, venison, or veal, and suggest authentic floral arrangements for the reception. In addition to the traditional meats, breads, cheeses, nuts, and tarts compliment the feast. Bride, groom, and wedding party dress in medieval costume, and the bridal bouquet is created of wildflowers and herbs, which were traditional in the 17th century. You and your guests will enjoy the medieval entertainment throughout the reception. The elaborate State dining room at Warwick Castle features gilded walls, and priceless paintings in opulent, gold frames decorated with cherubs. A massive, Italian crystal chandelier hangs from the center of the hall. It’s a spectacular setting for the wedding ceremony and formal photos. The conservatory terrace, gardens and fountain are ideal for photos of you and your wedding guests following the ceremony. The conservatory overlooks the famous River Avon. The gardens at the castle are beautifully landscaped and provide the perfect backdrop. There isn’t a lovelier setting for entertaining your wedding guests on a summer evening than in the Peacock Garden. The castle lit up at night is a dramatic backdrop for a formal bridal portrait. The Pageant Field is the perfect location for a summer evening wedding. A marquee set up along the river can be customized with lighting and decorations that you choose, and provides the perfect setting for a large celebration. The atmosphere of the castle changes from day to evening, and a late afternoon wedding with a reception that lasts late into the evening provides the opportunity for photos of you and your bridal party, with the castle and spectacular sunset in the background. 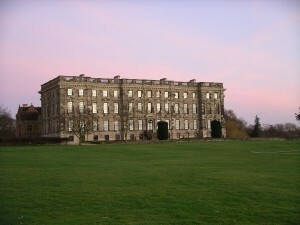 The picturesque town of Royal Leamington Spa is located the heart of Warwickshire, on the banks of the river Leam. When its spa waters were rediscovered in 1874, the former Anglo-Saxon settlement developed into a booming town, known for the supposed medicinal properties of the water itself. Now, Leamington is also popular for its early Victorian and Georgian architecture and its beautiful parks and gardens. 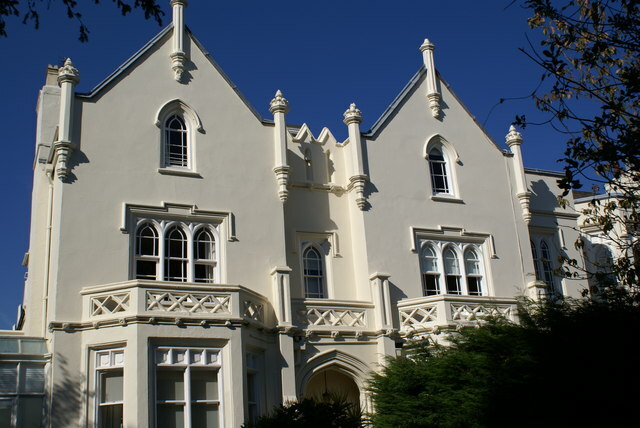 The architecture is just one reason why Royal Leamington Spa is such a popular place for weddings. Many brides and grooms search for the right spot in the English countryside to get married, but Leamington has an advantage in that it simply contains a large number of venues. Weddings as large as 160 people are held at the nearby Mallory Court luxury hotel. Smaller weddings can be held in the Regency Room at Victoria House, which was constructed in 1835. One of the most beloved and beautiful venues in the area is Wethele, a farmhouse where ceremonies are held in a converted barn. You can even get married at the famous Royal Pump Rooms once frequented by Queen Victoria. As you can see, Royal Leamington Spa is chosen by many different couples because a variety of types of weddings are possible. Large or small, indoor or outdoor, casual or incredibly elegant – the town is very flexible to different needs. Getting married in the English countryside can provide the perfect context for a gorgeous day, which is why it’s important to have a photographer there who can capture it. When you’re planning your ceremony and reception, you should look for a photographer who is familiar with the area and can really do justice to the local landscape no matter what the season or weather. One of the perks of choosing a unique and picturesque venue is having it reflected in your wedding photos. We recommend Lee Glasgow wedding photographer for Warwickshire by the that covers all aspects of wedding photography for Leamington Spa, providing some unique shots that will make your day memorable for years to come. When you hire someone to take wedding photos, you should discuss with them the various spots in your venue that will provide a good backdrop. Also discuss the possibility of candid and intimate pictures throughout the day. Royal Leamington Spa is full of natural foliage, amazing buildings, and majestic river views to make photos easy. Plenty of spots in the Warwickshire area are great for weddings, but Royal Leamington Spa remains a big draw for couples. The history and aesthetic charm of this town may be worth looking into. Often when planning a wedding in Warwickshire, you will have a load of ideas of what may constitute to a good all round day. One important thing to consider is the wedding receiption. Whether your having your wedding in one of the great manors or country parks that Warwickshire has to offer or going a bit higher class and deciding on Warwick or Kenilworth Castle, you can be sure of one thing, a lot of the guests will be looking forward to the evening recieption. Recent surveys carried out by entertainers, wedding planners and venues in Warwickshire found that one of the things people remember the most is the entertainment. 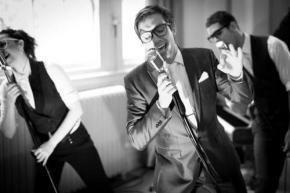 Just a few ideas for your wedding entertainment in Warwickshire. Ranging from your general cheesey wedding singer through to covers bands and big soul bands, theres something for everyone when it comes to your wedding entertainment. You can often get carried away with the wedding and forget this is what people may enjoy the most. A big soul focused wedding band for Stratford Upon Avon will help you to plan out everything you need for your receiption. A wedding singer might come with a simple microphone and play some classics but a big soul band will enjoy a large choreographed performance, with singers, dancers and sometimes even their own backdrop. It might not be cheap to get good wedding entertainment organised but search around and when you’ve heard some of the musicians out there you will see how it is worth every penny. If your not going down the route of a musician then check out some unique wedding band ideas at pure volume. This should give you a good idea of what you have to consider when hiring that special group to entertain your guests. Perhaps a little less convenitonal, this is however, often a good idea if you have small guests attending. Younger guests probably won’t be interested in evening entertainment via musicians. Magaicians can often lighten the mood and amaze your guests, elderly guests are more likely to appreciate a magician than entertainment which might be to much for them. Hiring a magacian is also often a more budget friendly solution, they will not be as high maintenance as other entertainment solutions since they will not require a PA and bring their own props. Talking to your magician before your wedding will benefit you since you can talk about the kind of magic tricks they might perform and if you are choosing Warwick castle as your wedding venue, the tricks could even be performed outside your wedding! Just imagine the doves flying into the blue sky above the castle on your fairytale wedding day! Depending on your descision to get married you might consider having something less convential. If your one of the few people who decide to get married at Twycross Zoo then you might want to consider something else that no one may have thought of. The main decision you will have to make is whether you want a muscian or general entertainer to take centre stage. Welcome to the new website, Warwickshire Weddings. An excellent resource for everything needed for a wedding in the Warwick area. In order to get listed on our website for a business service or product you offer please email us at info|@|warwickshireweddings.co.uk and we will be happy to contact you with more information. Please note that we only accept business and service listings for people who serve or are based in Warwickshire and it must be an exclusive wedding service. If you have any other ideas or would like to send us an additional list of ideas for categories then please get in touch!